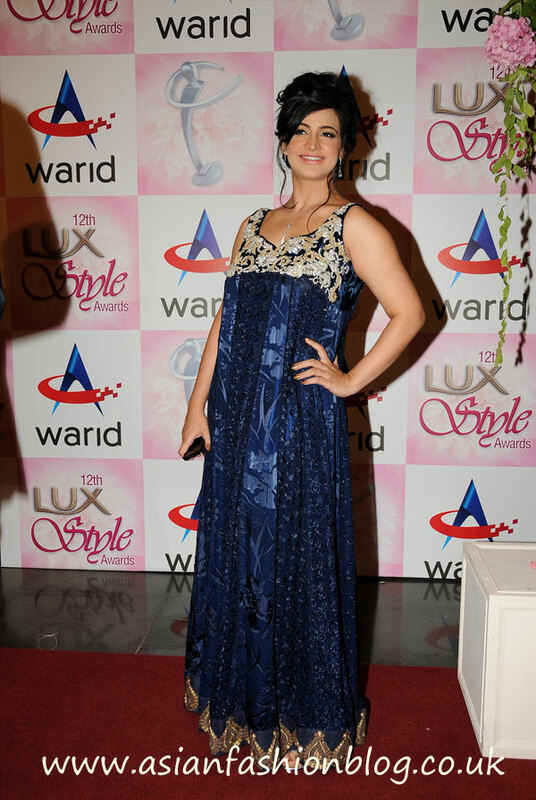 The 2013 LUX Style Awards took place this month in Lahore. Now in their 12th year, the awards are to celebrate and honour the best Pakistan has to offer in Music, TV, Film and Fashion. First up is Amber in a printed gown from Maheen Karim's "Paradis" collection. I really like the bold design and it has an animal-print feel to it. I've seen this outfit on catwalk models, on other celebs and it looks good on them all! Fareshteh Aslam in an outfit by Shehla Chatoor - another printed outfit. The only part of the outfit I'm not so sure about is the fringing at the bottom. It's interesting to see how different this style of outfit looked on the catwalk - the model is showing off A LOT more skin! 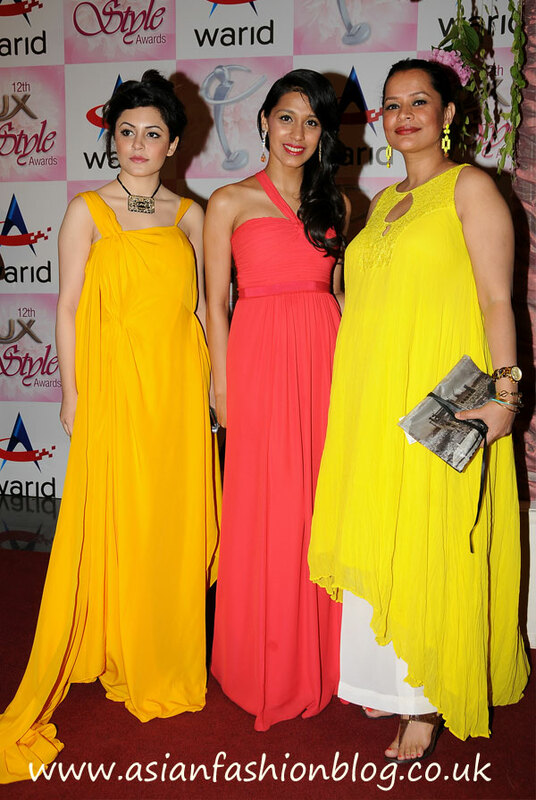 Ammara Hikmat, Momina Sibtain and Andleeb Rana. I had to post this photo because I love the bright colours these ladies chose. I'm not sure about the draping part of the yellow gown on the left which is on the floor, perhaps a feature which would look better in a photoshoot? Hira Tareen and Zoe Viccaji. The black dress is more appealing to me than the green asymmetric outfit. Compared to some of the other outfits on the catwalk, the black dress is quite modest/covered up, but still looks chic and has some glamour - I like her make-up and choice of hairstyle too! As for the green outfit, I'm not a big fan of the gold border on her top and compared to the draping on some of the other dresses, like the Shehla Chatoor dresses, this really doesn't compare. 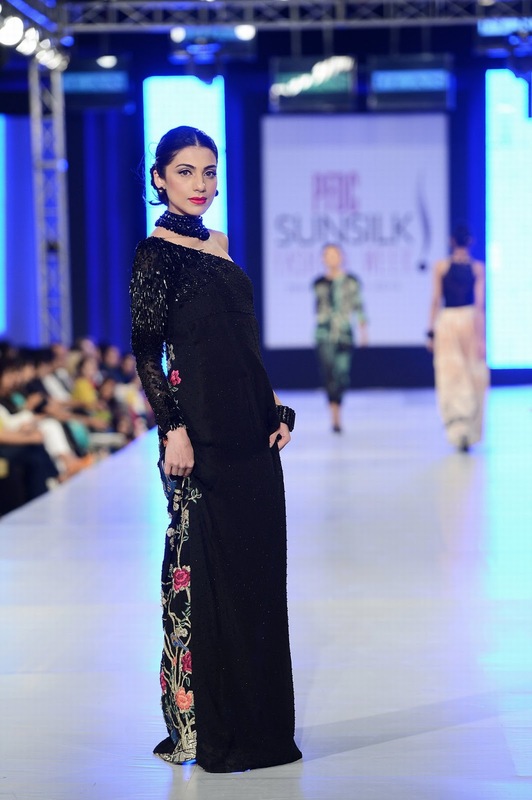 Another chic black dress and another assymetric/one sleeve design, this time Meesha Shafi wearing a design by Elan. 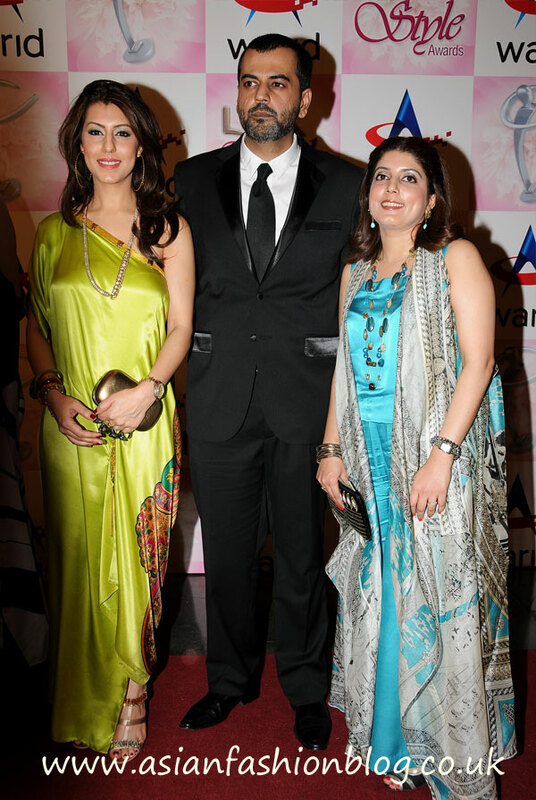 Humaima's dress is by Laila Chatoor. 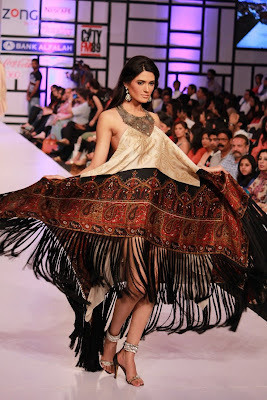 Designer Maheen Karim presumably in an outfit she designed herself? 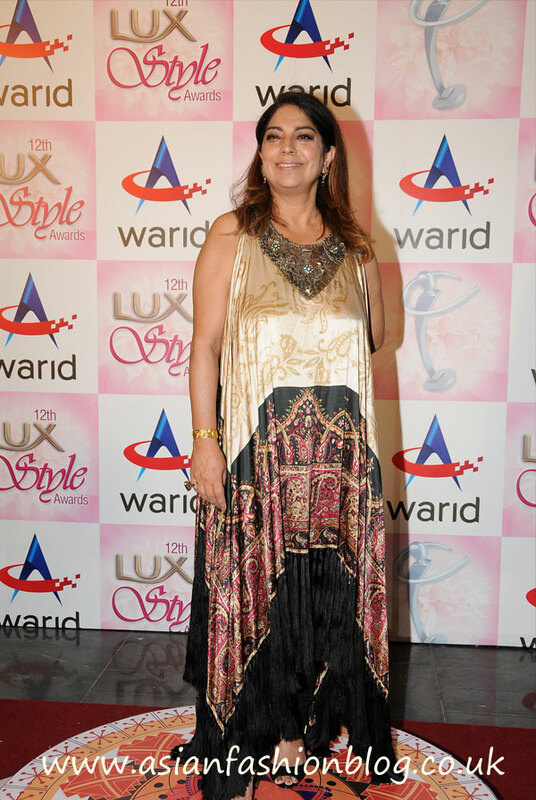 Fareeha Pervaiz, showing that you can still shine in gold if you don't want to wear it head-to-toe. Which outfit do you think looks best...and which would you choose to wear yourself?